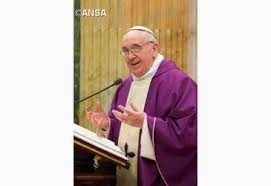 Following his Sunday Angelus address, the Pope appealed for peace following a terrorist attack at two Churches in Lahore, Pakistan Suicide bombers bombed the Churches during Sunday services, killing 14 people and wounding 70. According to Al Jazeera news, Jamatul Ahar, a Taliban splinter group in Pakistan, has claimed responsibility for the bombing. One Church was Roman Catholic, the other from a Christian denomination. The Holy Father said that he received the news with "much sadness" and prayed for those who were killed and wounded in Lahore. "Our brothers and sisters shed their blood solely because they are Christians," he said. Assuring his prayers for the victims and their families, the Pope invoked the Lord to bring peace to Pakistan. He followed with a strong appeal, expressing his hope that "this persecution against Christians, that the world tries to hide, may end and that there may be peace. There have been increasing attacks against Christians, particularly in the Middle East. The Holy Father has made numerous appeals to the international community to protect the Christians, saying that the Church shares "an ecumenism of blood." 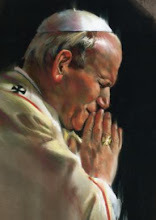 "The blood of our Christian brothers and sisters is a testimony which cries out to be heard. It makes no difference whether they be Catholics, Orthodox, Copts or Protestants. They are Christians! Their blood is one and the same," the Pope said on February 16th, following the murder of 21 Egyptian Coptic Christians in Libya.